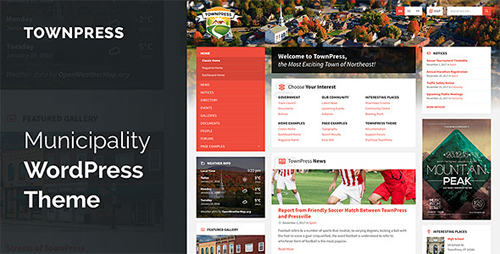 TownPress�is an ideal WordPress theme for small towns or villages. It is tailored to suit all the basic needs of a modern�municipality. TownPress offers a lot of very niche-specific features like�local weather�widget, listing�directory, upcoming�events, town�documents,�galleries,�forums�(via bbPress plugin) and more. 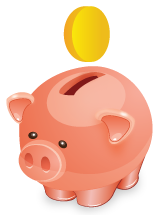 A great theme for your�city or town portal! TownPress is�ready to be translated�to your language (with support for�RTLlanguages) and it is bundled with�WPBakery Page Builder�to make content editing as easy as possible.